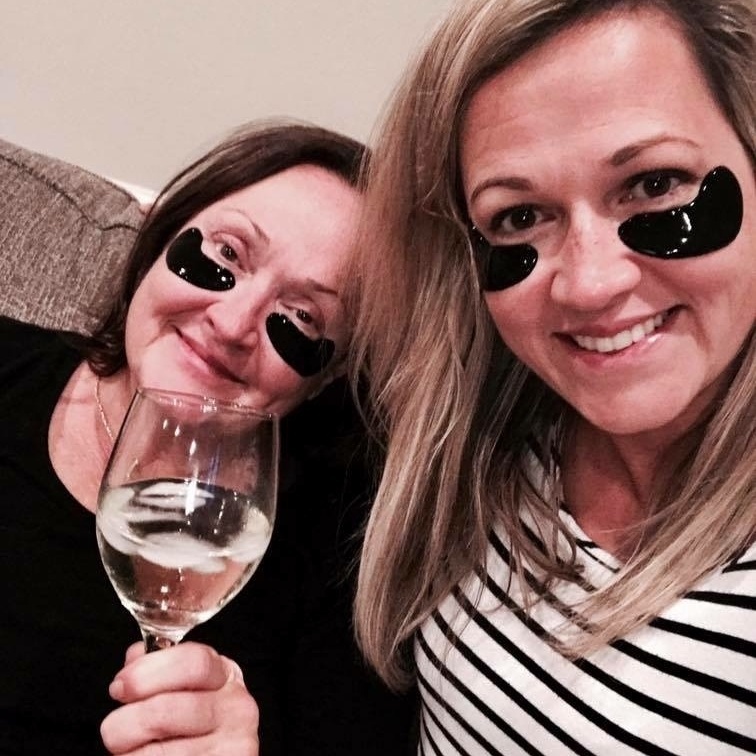 Activated charcoal can sourced naturally from either Coocnut Shells or Bamboo and is a natural potent treatment that is used to trap chemicals and toxins in and on the body, allowing them to be flushed out or removed (like when we put it on our skin) in a safe way. It first was used for accidental poisonings or drug overdoses in emergency rooms across the world, but soon enough it is now a common household item. It can be a powerful remedy for bloating and gas, helps aid in preventing a hangover (more champagne please? ), lowers cholesterol and helps with gluten exposure (for those who are sensitive). 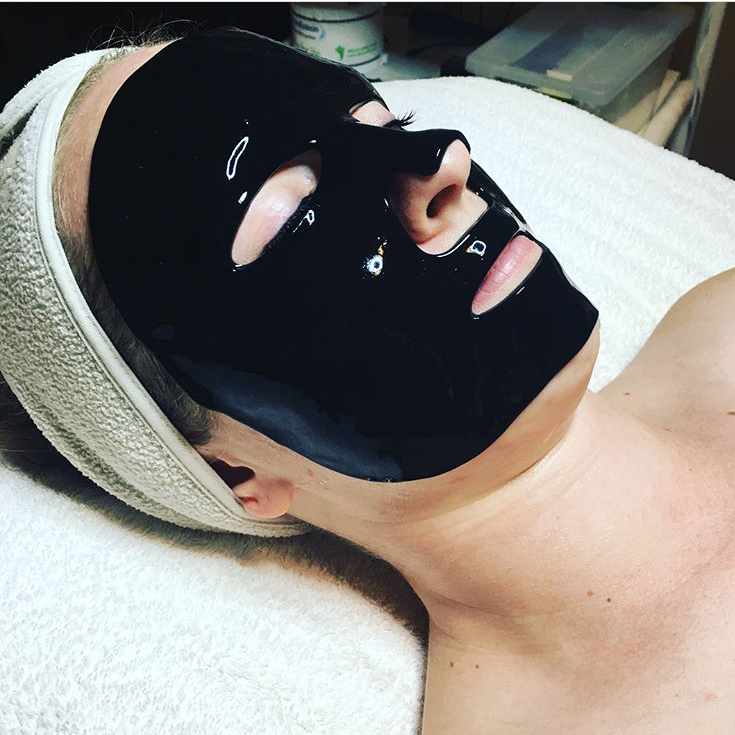 In the process of removing toxins, it does not absorb the chemicals but actually binds them (adsorb) and safely carries them out of the body. That is why it works so well in skin care products. It safely pulls out the build up on your skin and then once removed, your skin is left silky smooth and pure clean! We likey! 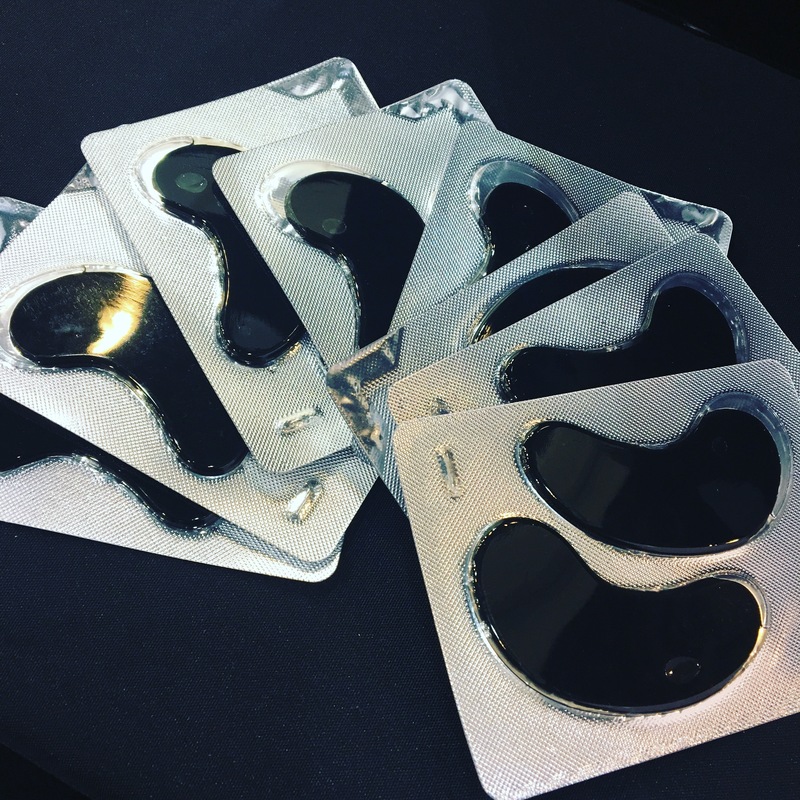 Wear it on your face: The easiest way? 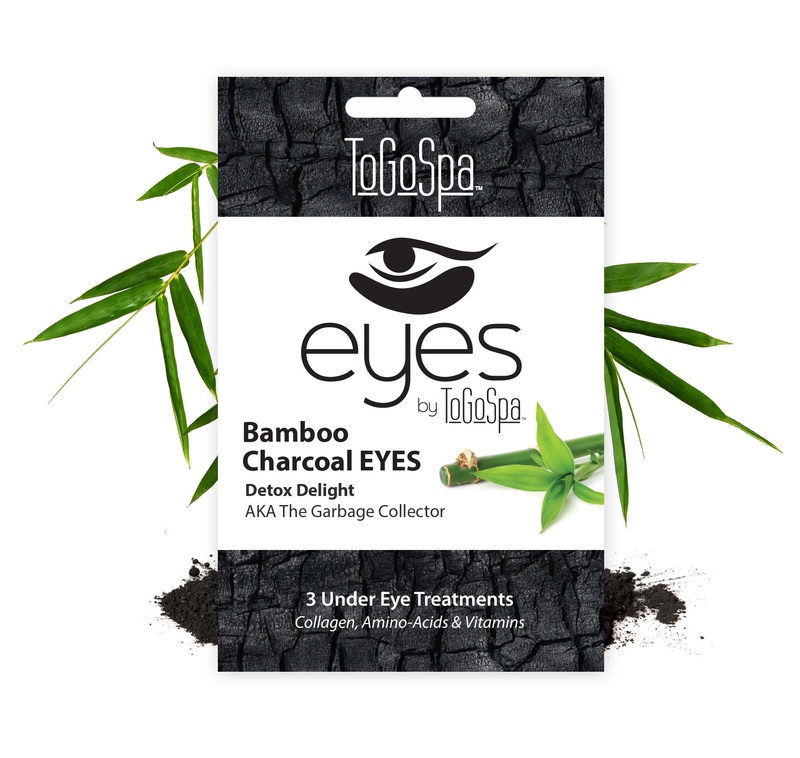 ToGoSpa Bamboo Charcoal FACE and EYES. There’s a reason these products are called The Purifier and The Garbage Collector! Creating a sacred space for your face. 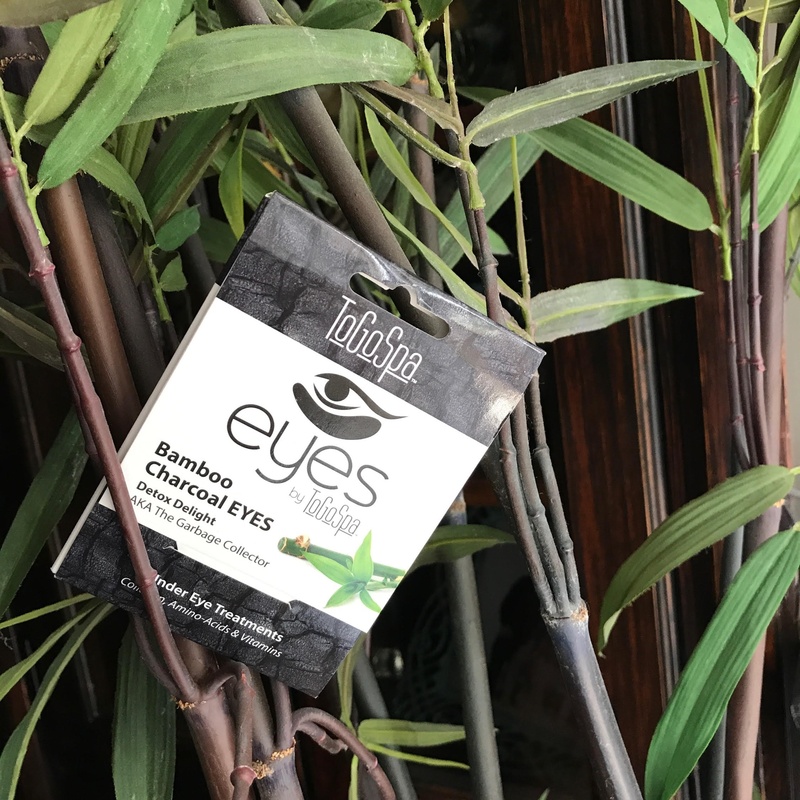 The Bamboo Charcoal detoxifies and adsorbs impurities leaving your skin gleaming and perky. The collagen in the products works with the temperature in your skin releasing potent enzymes, amino acids, proteins and vitamins that work together to bring relief to your face. Tip: Place products in the fridge to add a chilling sensation to your at home spa experience. Also helps combat puffy eyes, fatigue and dark circles. Aids in hangovers: This is extremely valuable information people! Some days we feel like nothing can diminish the headache, fatigue or upset stomach from the day after party town. Taking it in pill form or pouring the powder in water will help flush out the remaining alcohol in your system allowing your body to reset and feel bright eyed and bushy tailed again. Tip: Coconut water + activated charcoal + lime juice = Mock tail - cocktail! Whitens teeth: Are you a coffee, tea or wine drinker? Fright no more. Activated charcoal changes the PH balance in your mouth and helps prevent cavities and bad breath while also whitening your teeth. Tip: Dip a tooth brush into the powder and brush teeth as normal. Swish your mouth throughly and spit until clear. Be careful, it can be a little messy! Treats insect bites: Taking the capsules with you on your next camping trip isn't a bad idea. The powder is great for alleviating insect and snake bites, rashes from poison ivy or poison oak and also bee stings. Tip: Mix one capsule with 1/2 tablespoon of coconut oil and dab onto the affected area. Reapply every 30 minutes until itching and discomfort is gone. To prevent stains place a bandaid over the area. Where can you find this magic substance? 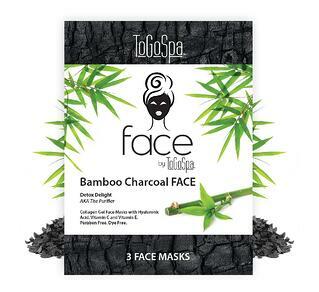 Well in our Bamboo Charcoal FACE and EYE masks at ToGoSpa.com and in pill form at most health food stores.